WikiLeaks possesses “a lot more” documents to surprise American voters ahead of the upcoming presidential elections - and will not hesitate to make them public. 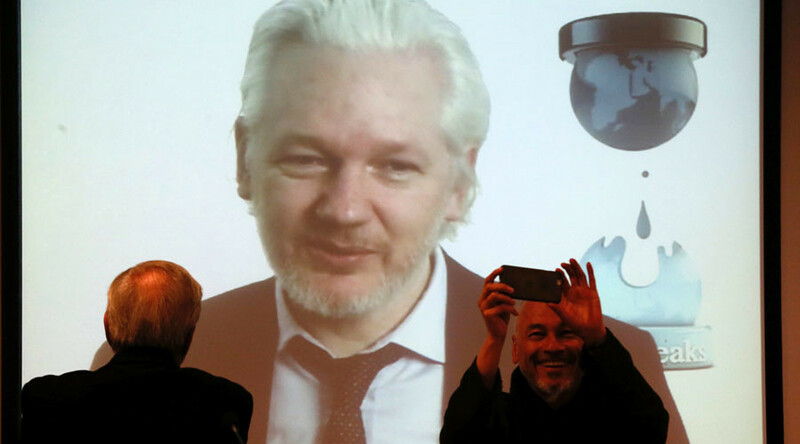 The leak of 20,000 internal emails from the Democratic National Committee (DNC), published by the whistleblowing website on July 22 “is having so much political impact in the United States,” Julian Assange acknowledged to CNN in a Skype interview on Tuesday. Speaking to America’s primary media outlet from the safety of Ecuadorian embassy in London, the WikiLeaks founder refused to disclose the source of the leaked batch of DNC emails, particularly avoiding denial or to confirmation of alleged Russian involvement, much talked about by Hillary Clinton’s campaign headquarters. He explained his lack of responsiveness by an obligation to protect WikiLeaks’ information sources. The famous whistleblower said that Hillary Clinton’s aides are focusing public’s attention on the unsubstantiated “Russian trail” in the delicate situation they had found themselves in. This is instead of trying to address the principle issue of the DNC email scandal: roughly plotting against rival Democratic candidate Bernie Sanders. The hacked letters cover the period from January to late May this year. “I think this raises a very serious question, which is that the natural instincts of Hillary Clinton and the people around her, that when confronted with a serious domestic political scandal, that she tries to blame the Russians, blame the Chinese, etc.,” Assange noted. "If she does that when she’s in government, that’s a political, managerial style that can lead to conflict,” he concluded. A Kremlin spokesman has rejected allegations about Moscow’s possible role in the hacking of US Democratic Party emails published by WikiLeaks last week, calling such accusations "absurd." "This is not good for our bilateral relations, but we understand that we simply have to get through this unpleasant period," Dmitry Peskov said. Republican candidate Donald Trump himself laughed at Clinton headquarters’ allegations about him having ties with Moscow.